And the time has come, right now, for women to know that being female is special, sacred, and divine. 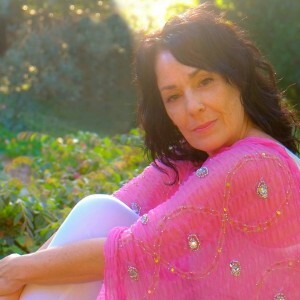 This inspiring, poetic and magically potent book will entice women of all ages to explore and activate their relationship with the divine, feminine and most sacred part of themselves–the goddess within. 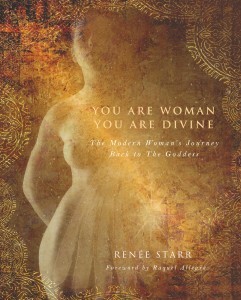 In You Are Woman, You Are Divine, ‘Back to the Goddess’ founder Renée Starr takes women on an enchanting, empowering journey, offering ancient wisdom in a fresh, modern way to help woman reclaim all the beauty, grace, and strength that being female is. “You Are Woman, You Are Divine is inspired. You can’t read it without feeling the presence of The Divine Feminine, the ancient goddess energy, moving in your bones. It is so beautifully written and woven together; I’m enthralled and I can’t stop reading it even though I should be packing for a trip. My suitcase sits empty as I turn the pages…filling my soul with much needed food. Women, we are being called home to our true, essential nature. By nurturing the timeless presence of Her, we realize She is already within us. Open this book and unlock the door to important myths, mysteries, goddesses and rituals that were lovingly chosen by Renée Starr. Her deep connection with The Divine Feminine leaps off the pages and enters the psyche in rich and meaningful ways. This extraordinary work brings us close to The Beloved, to Freedom and ultimately to honor our own Sacred–Self. I will give this book to my friends”. Read the Book. Join the Movement. Be a goddess on earth.